Phil Zourzoukis loves Star Wars, and you guessed it, Legos. On Saturday afternoons at Science Cosmos you can usually find Phil enthusiastically building Lego projects as mini-figure versions of Luke Skywalker and Han Solo look on. Phil joined Science Cosmos 2 years ago, and his parents confirm that Phil, “still anxiously looks forward to coming to class each time”. 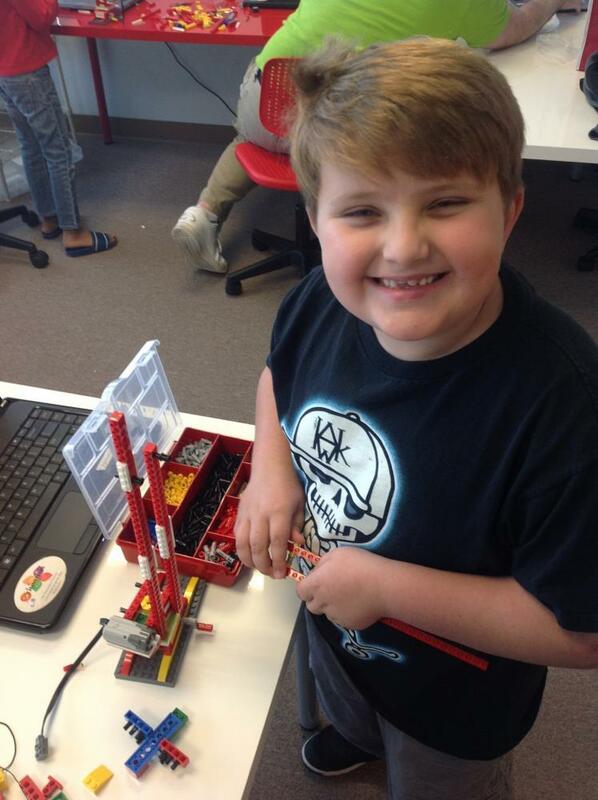 Phil is now working through the extended curriculum of WeDo-a series of extended building projects that require 2-5 weeks of building time and are modeled after real life machines including a tower crane and a forklift. It was during the extended WeDo curriculum that Phil encountered his favorite project yet, the Carousel. Phil enjoyed the carousel, “because I could put one of my Lego people holding a light saber on it and it looked like he was fighting with his light saber as he went around and around.” Phil enjoys the building opportunities he gets at Science Cosmos and his parents appreciate the educational gains he makes while building. In his two years as a Science Mind, Phil’s parents say that, “[Phil] has really solidified his understanding of basic engineering and technical skills”. One day Phil plans to put his skills to work as a scientist and an engineer. With his boundless creativity we are sure he will go far!